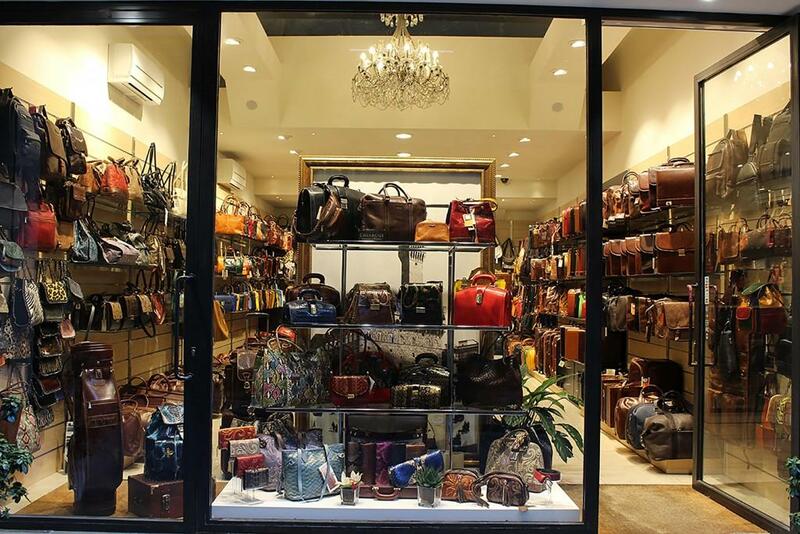 Florence, Italy is known for their fine leather craftsmanship. Leather is everywhere in this city. It’s hard to walk for a few yards without running into a cart selling leather handbags for less than fifty dollars. When I first arrived in this city, I was incredibly tempted to buy the first leather bag I saw. They were all just so cheap! But as it usually goes, if something seems too good to be true, it usually is. My professors later warned me that the leather goods sold from carts in Florence are doomed to fall apart within a couple months. Luckily, on a field trip to Scuola del Cuoio, which translates to School of Leather in Italian, I got the scoop on different kinds of leather and how to tell the difference between good and bad quality. Here is a quick rundown of the basic types of leather and how they are made. Cowhide: Cowhide is a tough kind of leather. Durable shoes and belts are made out of this material. Because it isn’t very fragile, embossed leather is usually made of cowhide. Calfskin: This kind of leather is buttery soft. It can be used for thin leather jackets and gloves. It is more expensive than cowhide because the young age of the calf that it comes from. Alligator skin: Although it looks rough and scaly, real alligator skin is rather soft. It is very expensive and pretty rare. It’s even illegal to sell or import in California. Ostrich skin: Ostrich skin is the most expensive leather money can buy. It is strong and its small holes, which indicate where feather used to be, make it very distinct. Full Grain leather: This is the leather to look for. It’s the highest quality and is made with the top layer of the hide. It ages nicely and is very durable. Genuine Leather: The name of genuine leather can be deceiving. It is made by bonding together layers of low quality leather with glue and it is painted to look like it is higher quality. Bonded leather: This type of leather is made with leftover scraps of leather that are ground together to form one piece. It’s the lowest quality of leather and is not very durable. With all this handy information, you can now be confident in what you’re buying whether you’re on the streets of Florence, at your neighborhood department store, or shopping online.